It was nice serving drinks in real glassware for a change. 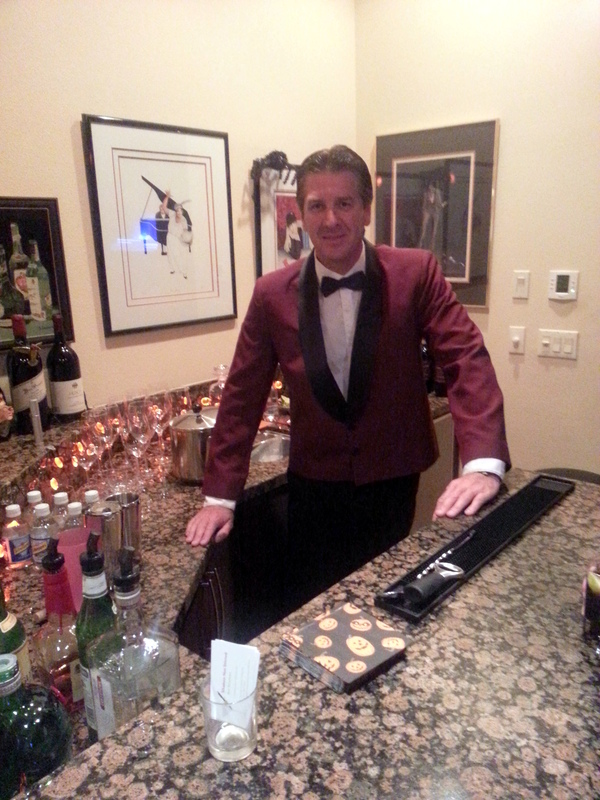 Most of the guests drank wine, but I made a few classic martinis and some mixed drinks. The guests had a short cocktail hour and then dined by the pool. It was a very nice and low key party, and I was happy to do it. I like going to the Palm Springs/Indian Wells/La Quinta area and the season is just gearing up out there. Somebody called me Saturday morning and wanted me to do a last minute day time gig in Palm Springs, but I had to decline because I had to get to the wedding in Eagle Rock that was booked months in advance. Somebody else called me to do a gig in Orange County and I had to decline that one too. of Eagle Rock. This was the first time I had ever worked that venue. 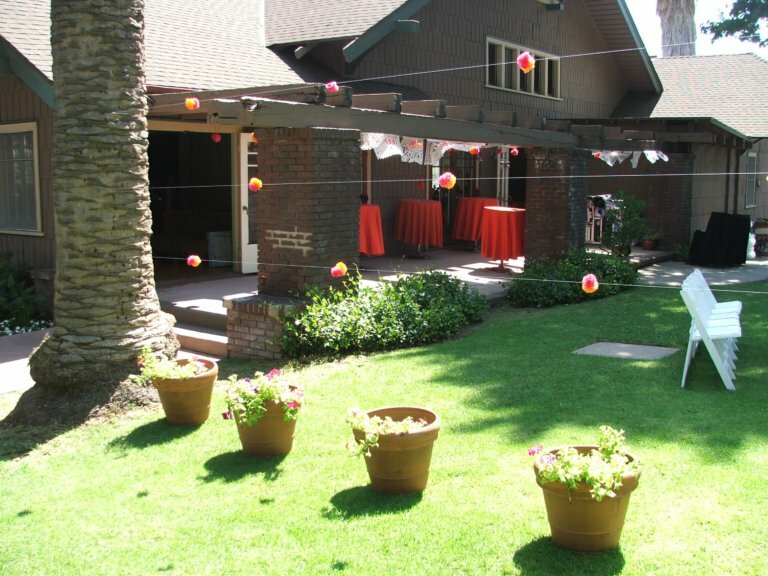 It is a very cool old building with a nice back yard where the ceremony was held. It seemed like a very nice place to hold a wedding and was a very relaxed atmosphere compared to some of the venues I have worked. The specialty drinks of the night were the bride’s special, which was El Presidente brandy and Horchata, and the groom’s special which was strawberry lemonade and Tangueray gin. I served a lot of wine and beer also. This party was booked months in advance, which I suppose is the right way to do it. They hired four servers from another company and rented glassware. I can also provide servers and glassware –ask me for a quote. In the end, many of the guests helped break down and clean up the party, which I have never seen before. If you are thinking about having a holiday or birthday party or any other kind of event in November or December book it now!